While some wrinkles are the natural process of aging, many of the problems we have with our skin are caused by our own actions. Did you sun too much as a teenager? You’re probably going to see brown spots and actinic keratoses (pre-cancerous rough spots). Do you consume mostly meat and empty carbohydrates (alcohol, anyone)? Your skin’s going to appear dull. Do you take the time to follow the steps of your skincare regimen, or do you just rinse off with soap and call it a day? Our skin is our largest organ and is our greatest protector. It holds moisture in the body and keeps unwanted water out. The epidermis teems with stem cells and pigment-producing melanocytes to protect it from skin’s No. 1 enemy – the sun. The dermis contains firmness-promoting collagen. And throughout the skin are blood vessels, hair follicles, sweat and oil-producing glands; plus chemical messengers, hormones, and white blood cells. No wonder our overall health affects our skin! OK…you’ve heard all this before. 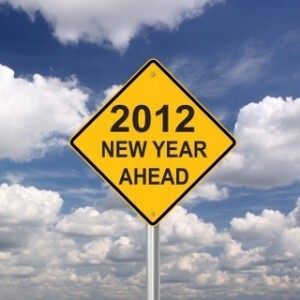 But it doesn’t hurt to recommit to improving your health (and your skin) here at the beginning of the year! Eat a diet based on simple, healthy foods. Plant-based foods like fruits, vegetables, nuts and whole grains will give you energy and ensure proper elimination of toxins. Exercise moderately to get the oxygen flowing. Walk for 30 minutes every day and do some weight-bearing exercise. Exercise can be incorporated into everything you do: running errands, climbing stairs, gardening, cleaning house. Just move! Drink plenty of water (8 8-ounce glasses of pure, filtered water a day). Protect your skin from the sun (when Sheryl Crow sings “I’ve got my 45 on” she means it – look at her skin!). Use the right skincare regimen for you. Maybe it’s time to reevaluate: Every year, scientists develop new in-office procedures and products for at-home regimens. The Dermess staff can help you put together a plan for the year that addresses your specific needs. Be happy. You know that “glow” when someone falls in love – it’s real! This entry was posted on Monday, January 9th, 2012 at 2:02 pm	and is filed under Skin Care Regimens. You can follow any responses to this entry through the RSS 2.0 feed. You can skip to the end and leave a response. Pinging is currently not allowed. « The Stem Cell Facelift: Men Like It, Too!